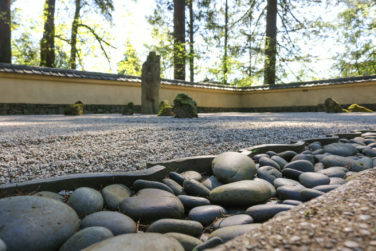 While dry landscape gardens are sometimes referred to as Zen gardens, it is more accurate to refer to them as karesansui. 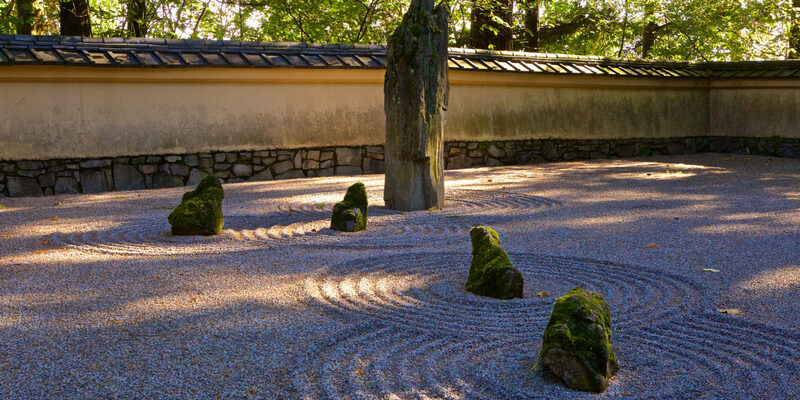 In Japan, this style of garden is often part of a Zen monastery, such as the famous Ryoan-ji in Kyoto. 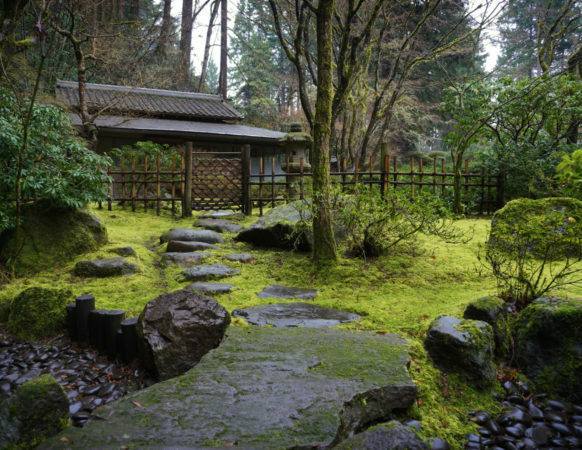 Often attached to the abbot’s quarters, this style of garden was not meant for meditation [zazen], but for contemplation. 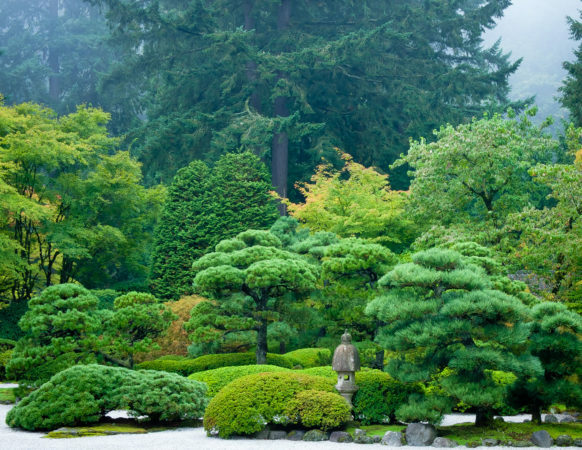 Care of the garden was part of the monk’s practice. 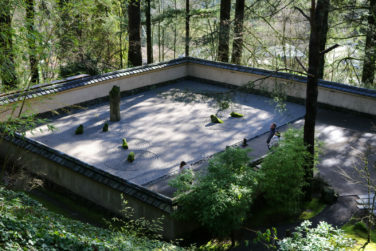 The Portland Japanese Garden’s Sand and Stone Garden was designed by Professor Takuma Tono in the 1960s when Zen Buddhism was little known or understood in this country. Professor Tono was inspired by the Jataka Sutra, a 2,000 year old Indian tale about a previous incarnation of Buddha. 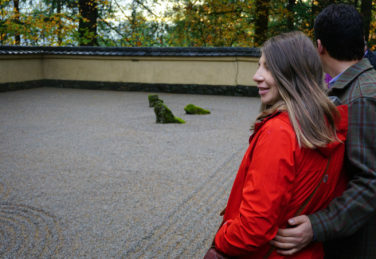 The story is recorded on a painted panel in the Horyu-ji temple at Nara and other Buddhist artifacts depicting the Buddha facing the dilemma of saving a starving tigress and her cubs trapped in a ravine. The Buddha’s self-sacrifice to save starving creatures is a lesson in compassion on the path to attaining enlightenment.